What’s better than a bowl of hot soup for supper on a cold, winter day? I’m not a soup snob. I’ll eat almost anything that’s served in a bowl and eaten with a spoon, but I have favorites. My go-to canned soup has been around since 1897. Talk about standing the test of time! Campbell’s condensed tomato soup was first marketed 121 years ago. Campbell’s first produced ready-to-eat soup in 1872, but its condensed soup wasn’t introduced until years later. Tomato soup was one of the few canned foods Mom bought when I was a kid, and it was a cure for whatever ailed me. Mom added about half a can of milk and heated it on the stove in a pan. I’d crumbled soda crackers on top and practically lick the bowl. Now one of my Grands acts as if she’s getting a treat when offered tomato soup. At age 10, she makes her own. 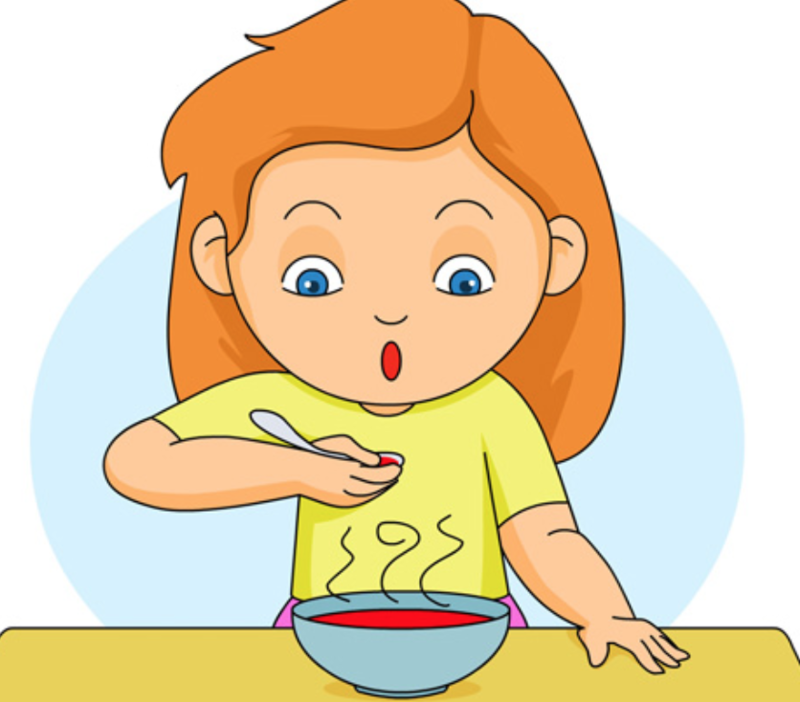 She dumps the thick, red mixture in a bowl, adds a little water, and heats it the in microwave. As far as Lou and I are concerned, only Campbell’s makes tomato soup. My all-time favorite soup isn’t canned or printed as a recipe. Mom’s vegetable soup. She had everything needed on hand, but the ingredients were never exactly the same. She opened a jar or two of her home canned tomatoes and added whatever vegetables she’d saved from leftovers. Maybe a spoonful of lima beans, a serving or two of corn, a cup of green beans, some black-eyed peas. Vegetables that she and Dad had grown in their backyard garden, harvested, preserved, and Mom cooked. Then she froze leftovers, no matter how small the amount, in a plastic container that was labeled vegetable soup leftovers. After all the leftovers were in the soup pot, Mom added cubed white potatoes, a chopped onion, and sliced carrots, if there were any in the refrigerator. And then she’d reach in the cabinet for her secret ingredient: two bay leaves. A dash of salt and black pepper, and an hour later, Mom served the most delicious soup I’ve ever eaten. I do my best to make Mom’s vegetable soup. Freeze leftover veggies. Can summer tomatoes, specifically for soup. Add everything to the soup pot that she did, even bay leaves, and it tastes almost the same. Yes, cold weather calls for hot soup. Don’t you agree?